We can all agree that a visit to the Inca Citadel of Machu Picchu would be a highlight of any visit to Peru. 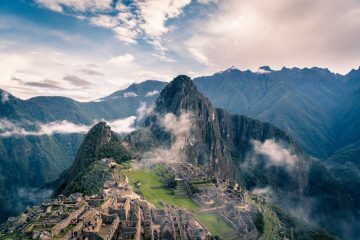 However, Peru is also home to 11 other UNESCO World Heritage Sites, 12 national parks and more than 6,000 miles of Inca roadways. Our partners KE Adventure Travel know there is far more to Peru than just Machu Picchu. Here, they give us their eight unmissable Peruvian highlights, which will take you off the beaten track and one step ahead of the crowds. Forget about bus tours, there is no more scenic way to experience the Sacred Valley than on two wheels. 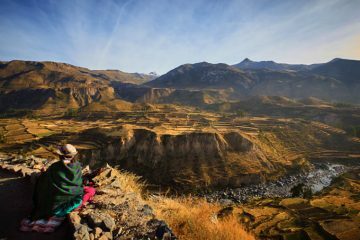 Following back roads and dirt tracks on full suspension cross country bikes you can make your way from Pisac to Ollantaytambo across Andean mountain passes and enjoy gentle descents, pass tiny Quechua hamlets and haciendas where traditional farming methods are still in use. The surrounding glaciated peaks and Inca ruins add an extra dramatic backdrop to this cycling tour. 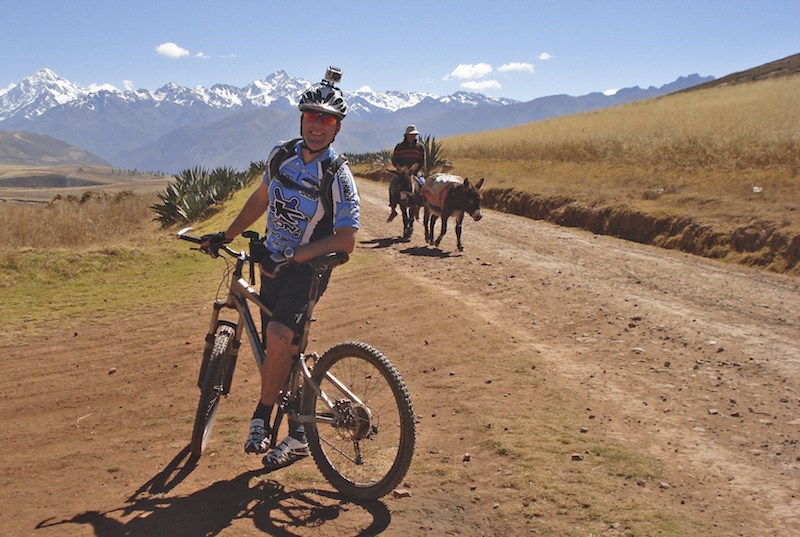 You can enjoy a one-day cycle tour from Pisac to Ollantaytambo on KE’s action-packed Multi Active Multisport Adventure. 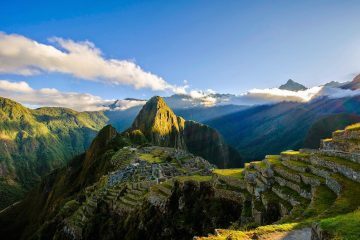 There is more than 6,000m of trail in the Inca Road Network, so there is more Inca Trail to be found in Peru than just the 27 ‘permitted’ miles that lead into Machu Picchu! 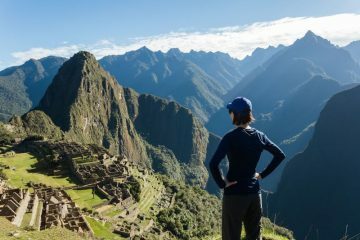 If you want to follow in the footsteps of the first explorers and enjoy a taste of what it must have been like to visit Machu Picchu, Angkor Wat or Tikal before the crowds arrive, then we can recommend our nine day trek through the Cordillera Vilcabamba, which includes a full day to unearth the secrets of the lost city of Choquequirao. Untouched by archaeologists until the 1970s, more than 70% of this vast Inca Fortress is still hidden beneath forest. 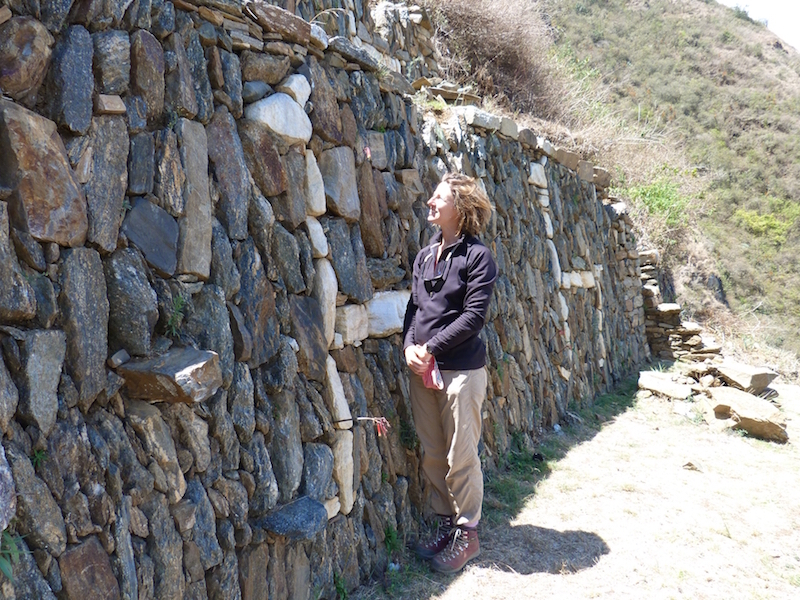 What has been uncovered is extraordinary, including a set of terraces decorated with llamas – something that makes Choquequirao unique from any other Inca site. What’s more, with only around 20 people visiting each day, you can explore the ruins freely and in relative solitude. Visit the Llama terraces on KE’s Choquequirao to Machu Picchu trekking holiday. Head 250 miles north of Lima and you will find yourself amongst the snow fluted summits of the aptly named Cordillera Blanca; a mountain range of knife-edge ridges, tumbling glaciers, blue mountain lakes and steep sided valleys. The crowning glory of this mountain range is stunning pyramidal peak of Alpamayo (5,947m), once named the most beautiful mountain in the world! It takes seven days of trekking to reach the Caracara Pass and our camp near Alpamayo Basecamp, from where you will get the best views of this magnificent peak and witness one of the most stunning sunsets in Peru. 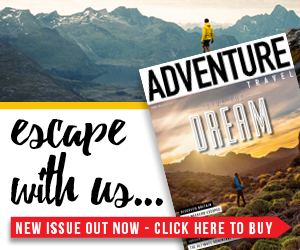 Don’t take our word for it though, Terry Adby travelled to the Cordillera Blanca with KE on behalf of Adventure Travel magazine. Read his article here. 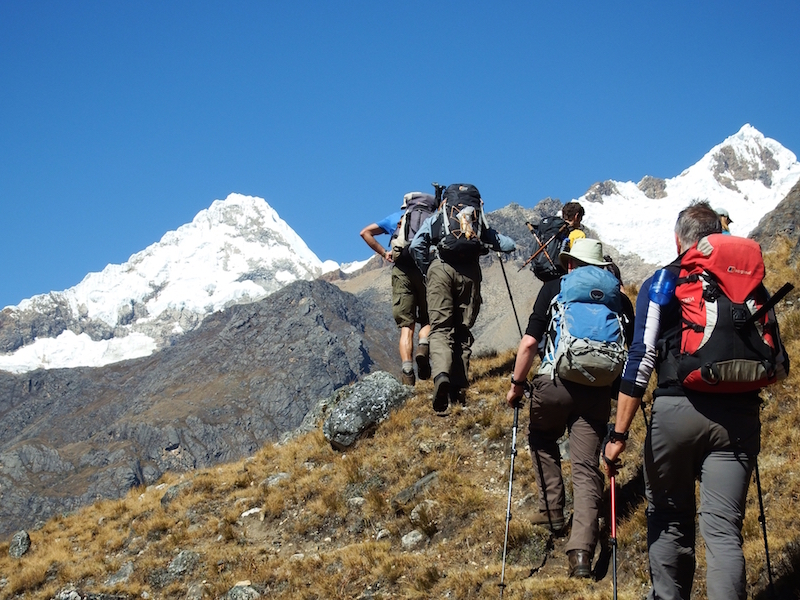 Trek to the ‘Glorious Mountain’ on KE’s Cordillera Blanca – the Alpamayo Basecamp holiday. If you are looking to sample some traditional Peruvian fare we can recommend trying ceviche, a dish of raw fish marinated in citrus juice (the acid in the citrus juice effectively ‘cooks’ the fish), which is the unofficial national dish of Peru! The name ceviche actually comes from the Quechua word ‘siwichi’, meaning fresh fish. Guinea pig or ‘cuy’ is also a common delicacy in the Andes and has been eaten at special occasions since the time of the Incas, so much so that the cathedral in Cusco still displays a painting of the last supper depicting Jesus and his disciples tucking into a feast of roasted guinea pig! Usually served roasted or barbecued, guinea pig meat has a very gamey taste. It is very high in protein and low in cholesterol. When it comes to drinks, if you are heading to Cusco and the mountains then we can recommend drinking mate de coca. Much of Peru is above 3,000m and it can take a little time to acclimatise to this sort of elevation. 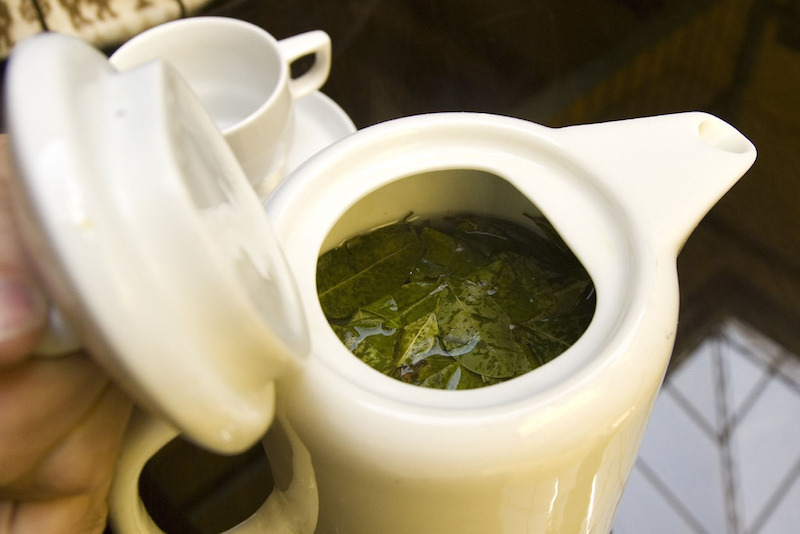 One of the things that is said to help acclimatisation is supping this mildly stimulating, greenish and unusual tasting ‘tea’ made by steeping fresh coca leaves in boiling water. Those looking to celebrate with an alcoholic beverage (best saved till you are fully acclimatised!) should seek out a ‘pisco sour’. This classic South American cocktail, made by mixing the Peruvian liquor pisco with lime juice, egg white and bitters, is incredibly moreish! While the majority of travellers seeking an Amazon experience head to the jungle lodges, one of the best ways to get a really immersive wildlife experience is to sleep on a riverboat. 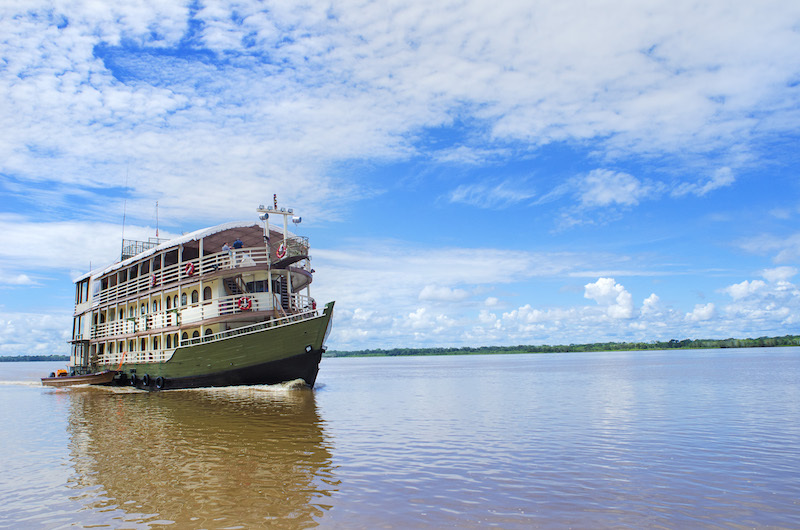 Exploring the Pacaya-Samiria National Reserve, a vast area of Amazonian jungle and floodable forest in the northeast of Peru, via its vast network of rivers you will be able to spot wildlife 24/7 from the comfort of the deck. Or you can join the daily skiff excursions designed to uncover even the Amazon’s shyest inhabitants – three toed sloths, spider monkeys, giant South American turtles, piranhas, ocelot, macaws, you can find it all here! You might even get the chance to swim with a pink river dolphin. Relax in this wildlife experience on KE’s Amazon Riverboat adventure. Head south of Cusco and you’ll find snow-capped Ausangate (6,384m), the highest mountain in southern Peru. This Andean giant was revered by the Incas and to this day offerings are still made by the local communities and individuals seeing good harvests, health and prosperity. A circuit of this sacred peak is a veritable showcase of all of the most sensational scenery in the Peruvian Andes. Beginning in the Puna (the grasslands of the Andean Plateau), you’ll cross high passes, camp beside turquoise lakes and tumbling glaciers, and even get the chance to relax in hot mineral springs. Walk this sacred circuit on KE’s Ausangate Circuit and Machu Picchu holiday. Sitting just below it’s more famous sister, the Cordillera Blanca, and considered by many to be the most wild and remote region in the whole of Peru, is the Cordillera Huayhuash (pronounced Y-Wash). Though just 18 miles across, this compact mountain range boast seven peaks over 6,000m, including Siula Grande, which is most famous (or infamous!) for providing the backdrop for Joe Simpson’s Touching the Void. 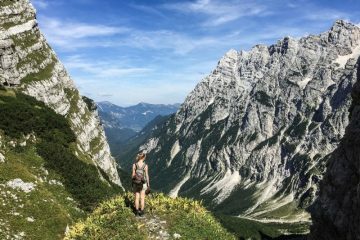 At first glance these mountains might appear impenetrable, but a stunning high-level trail will take you on an improbable circuit of this mountain group. This is real wilderness trekking on a Himalayan scale. 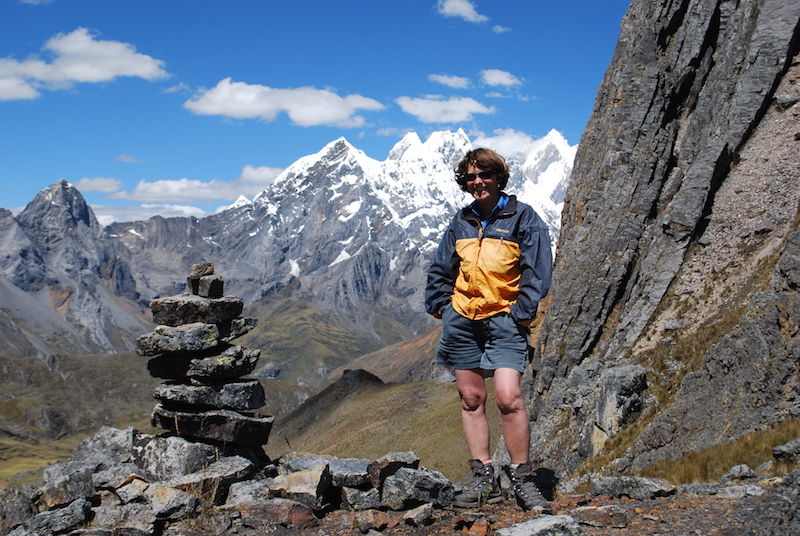 All our Huayhuash trips are led by Val Pitkethly, long-time KE leader and Andean specialist. Val is an expert on the area, knows the local people and all the best trekking routes. No one knows these mountains and communities like Val! 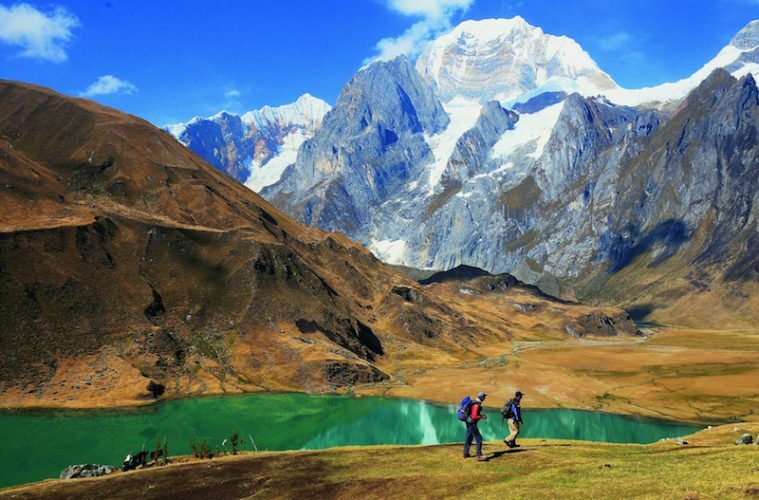 Join Val on Peru’s best kept secret on KE’s Huayhuash Circuit trek. It’s not everyday that you come across a community living on floating islands. 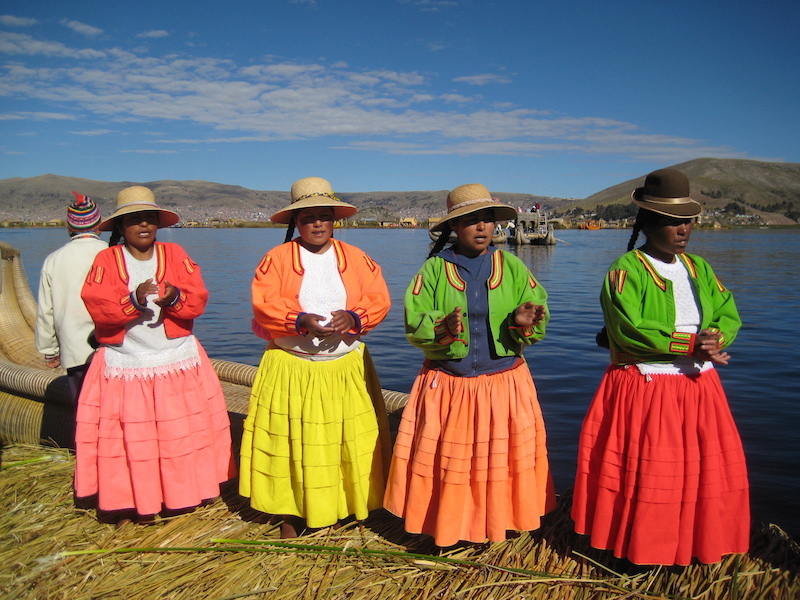 Islas Uros (on Lake Titicaca) have been created entirely with the boyant totora reeds that grow abundantly in the shallows of the lake. The Uros people that live on these islands are connected by these reeds, which are also used to build boats and local crafts that they sell to make a living. These indigenous people cook their food, mostly consisting of fish (local trout from Lake Titicaca), on a fire placed on a pile of stones. It’s a fascinating way of life, with a culture completely unique to Peru’s ancient traditions and history. 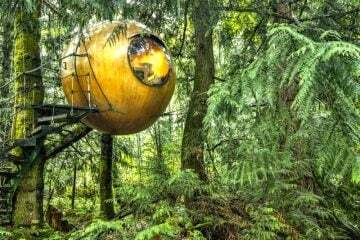 Visiting these islands is just one of the many things you can do with your family, along with riding in a motorised canoe in the Amazon rainforest, staying in a jungle lodge, learning to cook under hote stones and visiting alpacas and a weaving farm. 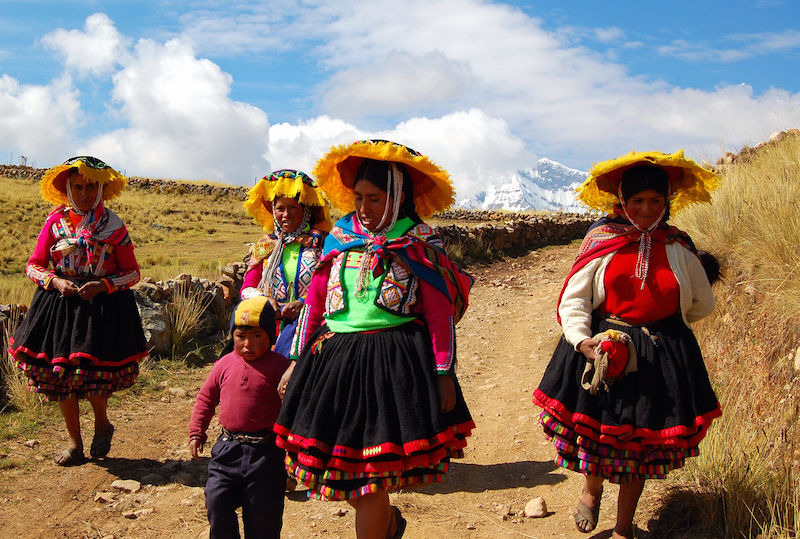 Take the family on KE’s Land of the Incas family adventure holiday.